1) Tell us a bit about your background? I was born in Lyon, France and raised in my beloved Warsaw, Poland where I was first exposed to the arts and to the world of music. After graduating from the Chopin School of Music in Warsaw, I studied piano at the Tchaikovsky Conservatory in Moscow, Russia before moving permanently to the the United States. I attended Texas Christian University (TCU) in Fort Worth, Texas, Park University in Kansas City, Missouri, and received my doctorate from the University of Kansas, in Lawrence, Kansas. 2) What is it like being a new mom (having a family) and maintaining a flourishing career? We have a three month old. It has been the hardest job I have undertaken, but on the bright side, it has completely cured my life-long insomnia. I can now fall asleep while taking a shower! I have chosen to go on a 6 month sabbatical from performing in order to fully experience parenthood, and to take time to direct his unique development. However, I believe being a good mother does not require mothers to focus solely on their children and give up their own identity. It is possible to have a successful career and simultaneously be a hands-on parent. I make time daily to teach and practice, and by the end of each day I am might be exhausted but I am professionally fulfilled. Prior to having a child, I was convinced that my baby would be born with a love for music and would sit quietly, enjoying hours of my practicing. However, I learned very quickly, that this was not the case and he would not last through even 10 seconds of the most peaceful of Chopin’s Nocturnes! This is where a good support system (in my case a supportive spouse) comes into play and is crucial in maintaining one’s sanity. 3) What inspired you to go into music and how long have you been playing the piano or had a music interest? It feels as though my love and appreciation of music has been with me my entire life, however, I started piano lessons at the rather late age of nine years old. I may have missed out on a few extra years of instruction, but in being older, I was able to make a decision to undertake this life path completely on my own, without prompting from my parents. Growing up in Warsaw enabled my parents to expose me to the greatest artists of our times by regularly going to concerts, exhibitions, museums and lectures. These outings were an unending source of inspiration for a young developing mind. 4) Have you composed any pieces? I have never composed anything that I would like to take credit for, or have discovered after my death! I do enjoy improvising for my closest friends but I leave the art of creating music to the truly gifted minds of composers. 5) From our understanding, historical musicians used to practice music all day. What is a normal typical day like for you? 6) Have you always dreamt of being a musician since you were a child or is it something it has been emerging later on? And why did you choose piano instead of other instruments? After getting over my idea of becoming a vet at age 5, I knew my life was meant to be dedicated to the arts, and more specifically, music. I grew up with a piano in the home, and as a child, I was fascinated by its magical, appearance and mesmerized by its powerful and unending musical abilities. 7) Is there an episode in your life that was really relevant for your career decision such as a travel or a meeting with an inspiring person, musician, mentor or artist? I have had many wonderful teachers and mentors throughout my career. I am especially grateful to my very first professor, Danuta Mirska, who believed in me from the very beginning and inspired me to not only be a better musician, but also a better human being. Like Professor Mirska, I not only share all of my professional knowledge with each student, but at the same time, I encourage them to become a better person and contribute back to our society as a whole. Another life-changing experience was hearing Alexei Sultanov perform live in Warsaw in 1995. His creativity, energy and charisma were indescribable. His musical spirit and influence continues to inspire me throughout my musical life journey. 8) In your opinion, what could be a contemporary way of presenting classical music, out of its more usual places and modalities? How do you think it could attract new audiences? For. ex. mixing it with other performing arts? Like society in general, classical music is evolving, but it can only be relevant if it presents a valid, meaningful and honest message. It will not become mainstream in our culture, as it asks more of listeners, as well as its performers, than does current “pop” music, and, in addition, people are simply not exposed to it enough in our fast-paced life. Collaboration with other performing arts is a great way of introducing and engaging younger audiences, and presents more ways for youth to participate in the creative process. I have collaborated with many great musicians who are now my close friends in life. There are too many to mention without unfairly leaving anyone out. I greatly enjoy playing chamber music, because it is free of the solitude that is inherent in being a soloist, and it is a liberating feeling to create music live on stage with your friends. 9.) Your role as the Artistic Director for the international non-profit foundation, Doctors for Music- What does that entail? Our mission is to bring doctors from different walks of life (MD, JD, PhD) together in support of classical music in such venues as fund-raising, concerts, medical meetings and hospital functions. In collaboration with BlephEx, LLC, our newest project is to create a music scholarship fund for gifted children, who would otherwise not be able to afford the education they so highly deserve. 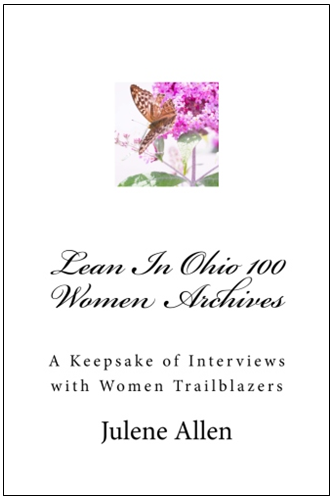 10) Have you been presented with any obstacles as a woman in your field? This is just one of many examples of artistic discrimination that I have heard stated between men in the music industry. These unspoken biases cannot be overcome without the tireless efforts of many great women artists who must constantly not only prove themselves, but are many times required to exceed men’s achievements in order to get noticed. Thanks to organizations like Women for Action and our president Barack Obama, it is less common to find inequality in the workforce today, especially in the United States. However, we still have a long ways to go to insure that we remain vigilant in the fight for gender and social equality around the world. 11) What is it like being able to travel and experience different cultures for your profession? Everything that I have seen and experienced on my journeys around the world, I owe to music. Exposure to the richness of other cultures enhances my artistry and allows me to meet fascinating people and make friends all over the world. I want to teach young girls everywhere, that no matter their socioeconomics, or where they are from, if they work very hard and relentlessly at something they can explore the world thanks to their passion, dedication and talent. 12) What career/s achievement are you the most proud of? Instead of focusing on past achievements, I always feel the most proud of the current project that I am working on. I try to keep my mind fresh and ready for new challenges yet to come. I feel pride on a daily basis when I see the passion for music that I awaken in my students, but the main goal in my life is to try to serve those who might otherwise not be served in all aspects of life. I have won many competitions, and received awards and scholarships throughout my career. Among others, I will always remember the first prize and award from the Polish Ministry of Culture and Art I received in the All-Poland Piano Competition, just before moving permanently abroad. I also received the first prize in the International Young Artists Competition in Germany and the first prize in the Seiler Piano Competition in Italy. Thanks to many generous organizations such as Louis-Spohr Forderverein, Lili Kraus Scholarship, Mu Phi Epsilon International Music Fraternity, Women’s Music Club, The Kansas City Music Club and The David and Gunda Hiebert Fund I was able to study at the best schools in the world. 13) What do you plan to do or are currently doing with your doctorates in piano performances? I love school so much that I could easily become a professional student. If there was something beyond a doctorate degree I would still be in school pursuing it. But seriously, I do believe that education empowers us and we should strive to be constant students of life. The day we stop learning from life’s lessons is the day we stop growing as humans. 14) What sort of advice would you give a young girl that wishes to follow in your footsteps? Don’t be afraid to believe in yourself and learn to trust your instincts. Be ready to work hard and you will find that music can open up a whole new world of possibilities. Always be willing to listen to that inner voice that may speak differently from all of those around you. There is no stronger advocate for yourself than you! Success has no easy recipe. You have to find your own style and philosophy and most importantly, always continue your self-development. 15) Are you currently working on any projects? I am currently preparing for concerts in Western Europe as well as engagements in the United States. My most exciting project is a collaboration with an amazingly talented Italian digital artist and designer, Chiara Cola. We will be working on a video that is a fusion of dance, Chiara’s designs and my music that will present these artistic elements in a way never before experienced. We are also planning live performances of this concept within charitable venues around the world. 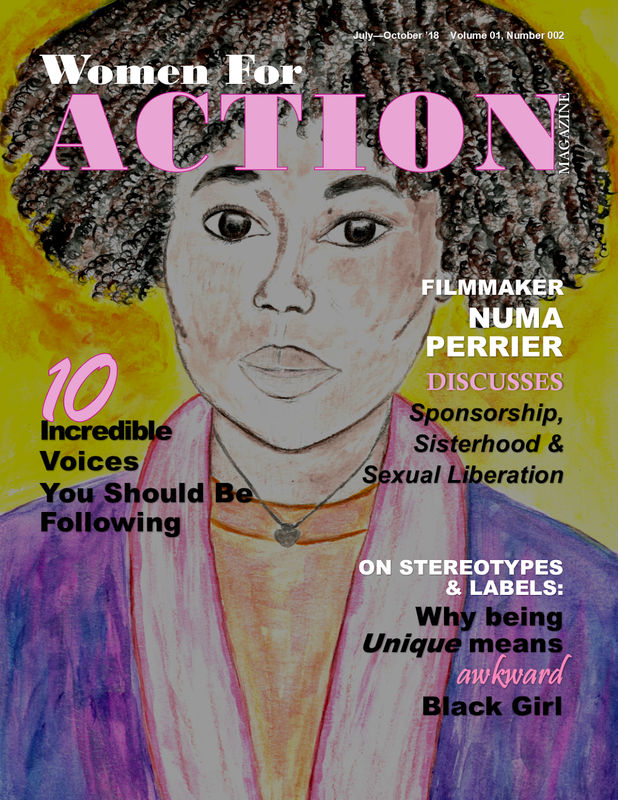 16) What piece of advice would you like to share with Women For Action readers? As women and mothers, we should strive to make sure that the next generation have access to music education, independently from their socioeconomic status. Access to music lessons should not be for the privileged few, but should be a simple human right of every child. It improves memory, concentration, discipline, and the ability to analyze and solve problems, enabling the brain to learn more efficiently in all subjects. It was Pythagorus who said, “Music is math made audible.” Quality music education facilitates improvement of our society as a whole. The role of government in supporting the arts and artists cannot be understated. Society, together with government needs to protect the arts at all costs. A free-market economy cannot sustain the arts that society worked so hard to develop over many centuries. Without the intervention and support of government, our fast-paced lifestyles could easily overlook this rich cultural heritage, and tragically, it could eventually be lost forever. Also, I would like to share my passion for animal rights and protecting those who cannot protect themselves. The fight against animal cruelty is a fight that cannot be forgotten and I am on a lifelong mission to insure that animal rights are taken seriously and that no animal is left behind. 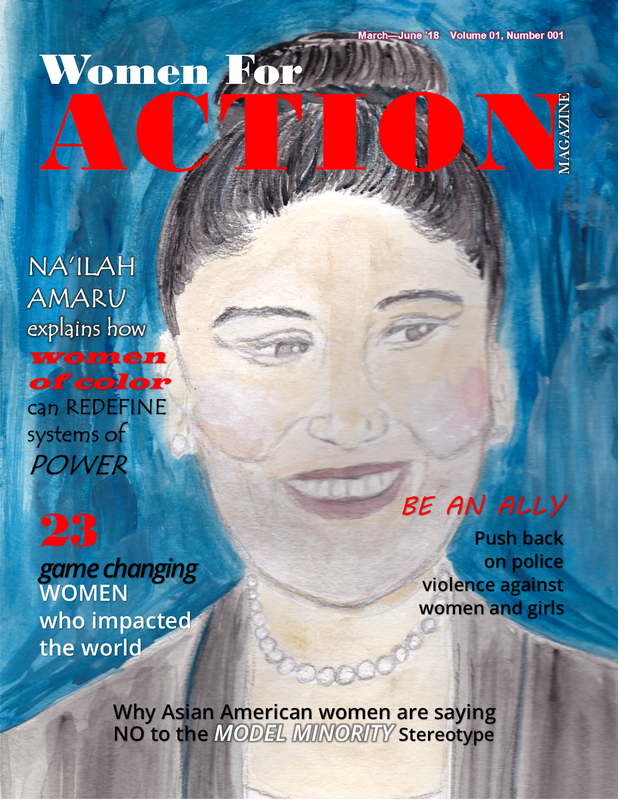 Thank you so much for this opportunity to share my thoughts with Women for Action! SALVATION THROUGH EDUCATION! 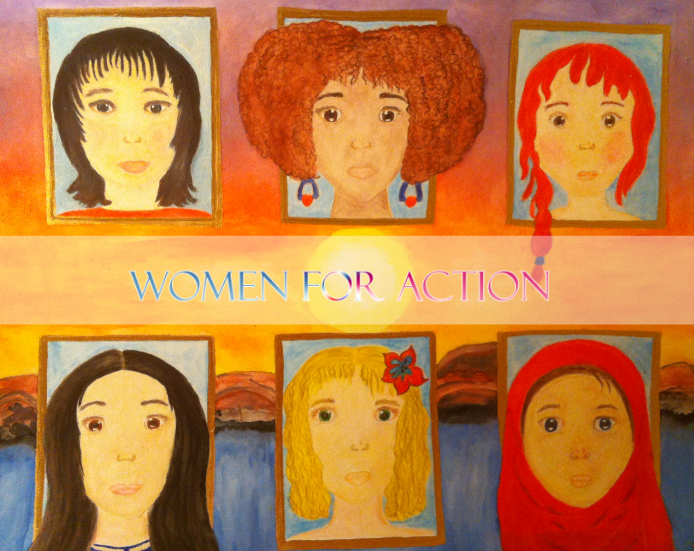 EMPOWERMENT THROUGH MUSIC! NO DOG LEFT BEHIND!